The Hasib J. Sabbagh Chair in Middle East Studies was established in 1994 to recognize Hasib J. Sabbagh’s many and enduring contributions to Middle Eastern peace efforts and to the advancement of interstate cooperation among different ethnic and religious groups. The endowed chair supports a leading scholar or policymaker who will provide insightful analysis on current developments throughout the Middle East. Hasib J. Sabbagh was born in 1920 in Palestine and graduated from the American University of Beirut in 1942. He was founder, director, and chairman of the Consolidated Contractors Group of Companies (CCC Group), one of the Middle East’s largest and most respected construction companies. In addition to his business interests, he has long been associated with political and philanthropic causes, serving as chairman of the Palestinian Student Fund and deputy chairman of the Health Care Organization of the West Bank and Gaza. After the death of his wife, Diana Tamari Sabbagh, in 1978, Sabbagh created a foundation in her name that has made major contributions to education and charities in the Middle East, the United States, and elsewhere. 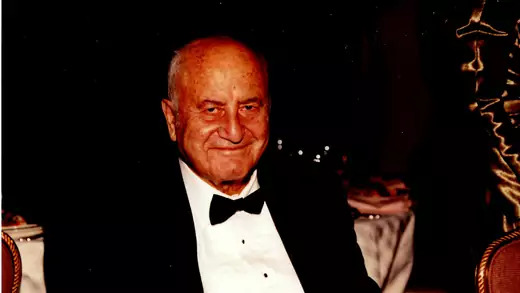 Throughout his life, he promoted a peaceful resolution to the Arab-Israeli conflict through his generous support of educational and humanitarian causes through the construction of housing, hospitals, and other major projects in the region.